The celebrities of the showbiz world, along with enjoying a huge fan base, also suffer the fracas of stalkers. While some fans only admire and follow their favourite celebrities online, others cross the line and try to intrude in celeb’s private space way too much. One such fan admirer of Ekta Kapoor has been recently arrested. Ekta has made a big name in all the quarters of the entertainment industry in India. According to a report, the producer was stalked over 30 times by a 32-year-old man in recent months and now, he has been held by police. Hum Paanch Completes 24 Years, Ekta Kapoor Shares a Nostalgic Post – Watch Video. As per a report published in DNA, the accused identified as Sudhir Rajender Singh from Haryana wanted to meet Ekta and ask for a job. He also wanted to be friends with the leading producer. Sudhir was making attempts to meet her since past one month. Ekta tried ignoring him multiple times, but he continued to chase her and even took membership in the same gym where she works out. 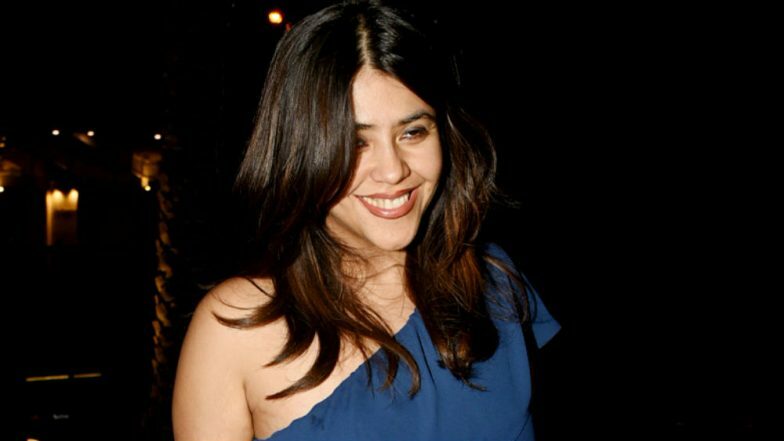 A police officer stated, “A few days back, when Ekta had gone to visit a temple in Juhu, Singh followed her there also and tried to approach her but was caught by her personal guards and he was warned to stay away from her.” The arrest was made on Monday night after a complaint was registered against him. “We have registered the complaint under section 354 (D) of the Indian Penal Code and with the help of CCTV and some technical evidence, the accused was traced from Andheri west Veera Desai road. The case is under investigation," added the officer.